New and recently renovated events venue in Flagstaff AZ. We are located just south of the county fairgrounds headed towards Sedona. We offer indoor and outdoor event options with a building of up to 150 capacity. We offer outdoor venue space that overlooks the neighboring Flower Garden nursery and has a great view of the woods and country scape. Tables and chairs for your event are included in our rental rates. 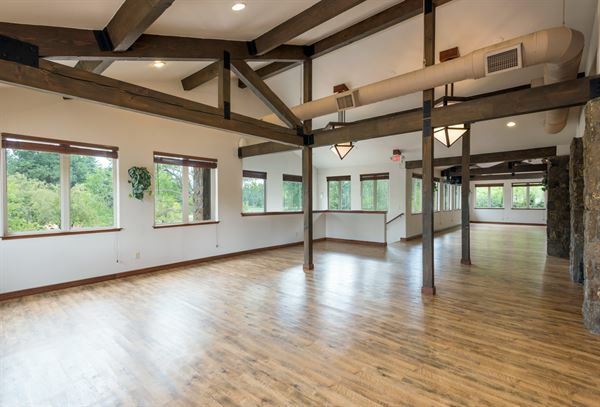 The building offers a banquet side, bar area, and on-site bridal suite. We have prices for meetings, parties, weddings, and special occasions.